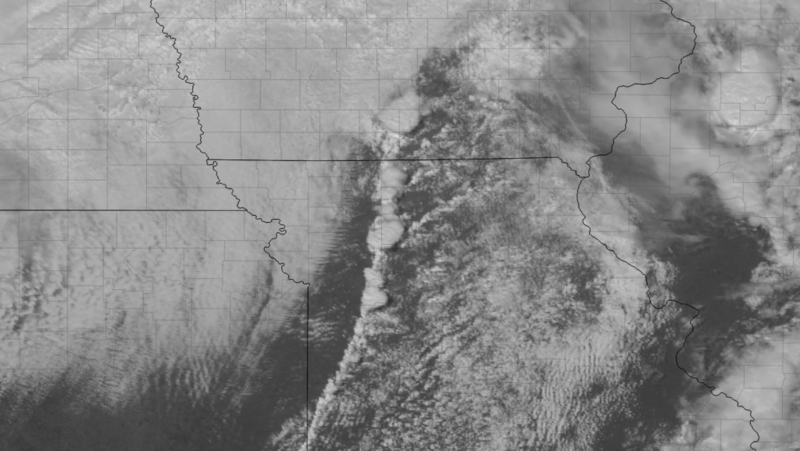 The day began in Cameron, Missouri and our preliminary forecast was looking at the eastern portion of Iowa for supercells early on in the afternoon. A low pressure that was centered over eastern Nebraska was progged to move eastward dragging a trailing cold front along with it. To the east of the surface low a warm front across Iowa and northern Illinois was the focus of our chase for the day and we expected to play just east of the triple point. We departed Cameron shortly before 15z and made the trek up I-35 to Des Moines and east on 80 to Newton where we stopped to look at data and gas up. The first mesoscale discussion of the day was issued while we were in Newton indicating that a tornado watch was likely coming for eastern Iowa and northwestern Illinois. We moseyed on east and sat south of Malcom in an abandoned travel stop, cars pointed west like professionals, awaiting initiation. 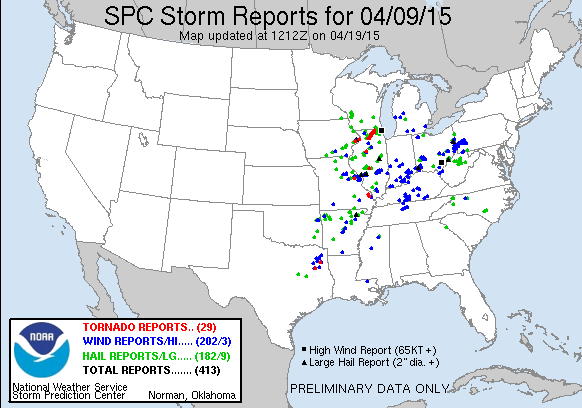 Shortly after 18z, initiation occurred to our southwest as the cold front lit up. This drew us south even though we really were more interested in the warm front targets. As we approached the storms near Eddyville, radar presentation had already congealed into a linear mess which didn’t look too appealing. We tracked east along US-63 and eventually needed to jog north as the stronger part of the storm was drifting away from the highway, so we stair-stepped up to highway 149 near Hedrick where the storm caught up with us. Very broad rotation was showing up on radar as we got caught in quite a torrential downpour and extremely strong winds in Hedrick. At the time, I had wondered if we were within some kind of circulation or strong RFD, perhaps beneath a developing wall cloud. We had pulled off on a side road to chill out for a second as visibility dropped really low and this is where we got separated from each other. I headed east through the storm, gritting teeth with both hands on the wheel as I tried to get back out in front of it. It wasn’t until I got on the east side of Washington before I emerged in the clear and finally was able to get a look at the storm near Ainsworth. It was tornado warned at the time, but didn’t look that fantastic. I attempted to follow the storm to the northeast as it headed towards Clinton, but by the time I had gotten to Muscatine I had fallen a bit behind the storm as it moved off to my northeast. 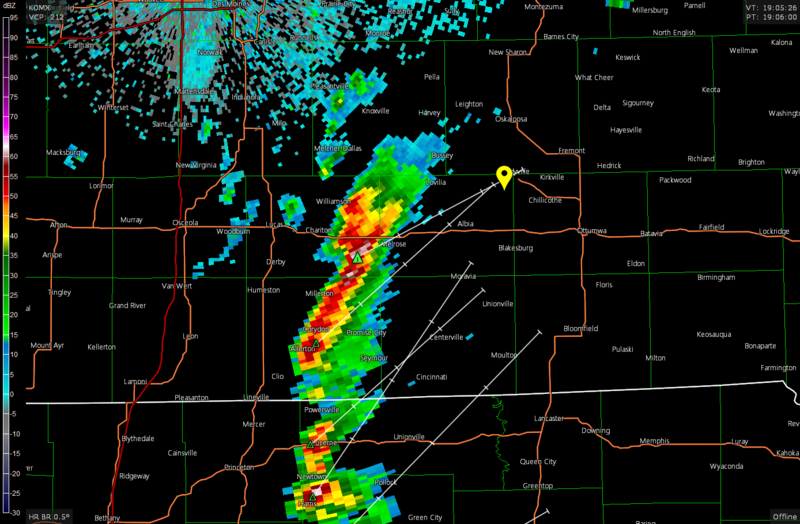 It was at this time the storm started to organize and take on a well defined hook north of Stockton and Walcott. The storm became tornado warned as a very tight couplet swung between New Liberty and Maysville as the storm continued off to the northeast. At this point, I was a good 10 or 15 miles away from the area of interest and never really caught back up to the storm. I crossed the river at Clinton just after 23z and it was at this time that warm sector storms began to popup in Illinois between the I-80 and I-88 corridors. 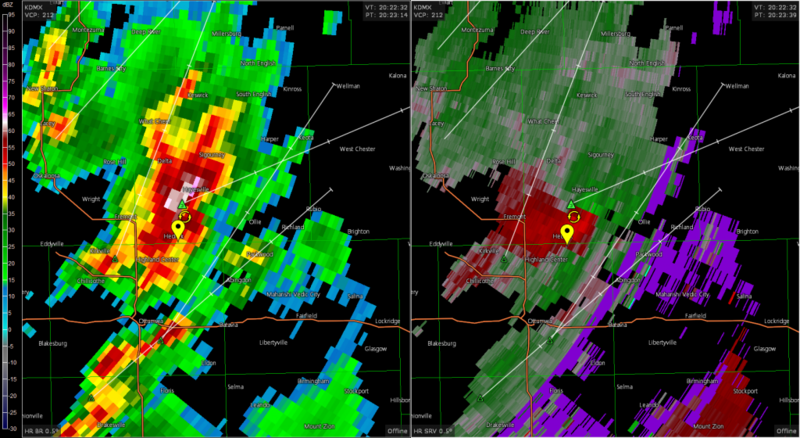 The storm that went on to drop the Rochelle EF-4 exploded south of Dixon just after 23z and as it moved northeast, intensified and organized rapidly becoming tornado warned near Ashton. I was a good 20 to 25 miles away from the storm when it went warned and never did get caught up to it and called the chase soon after dusk fell. 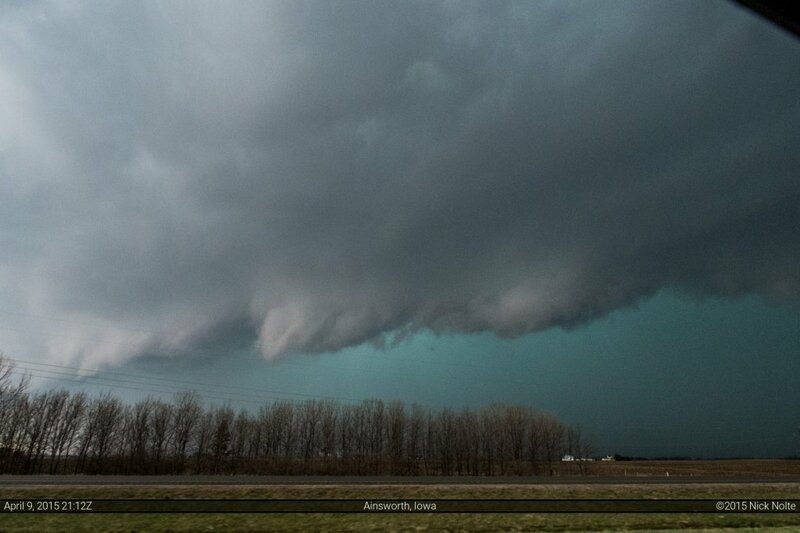 It was about this time I got word from Jon that he had intercepted the monster tornado. So, while I was happy for Jon, it made for a long drive back to Michigan lol.